Experience Your Very Own Retreat, Without the Travel! Have you ever dreamed of your own personal retreat without leaving home? The time has come! 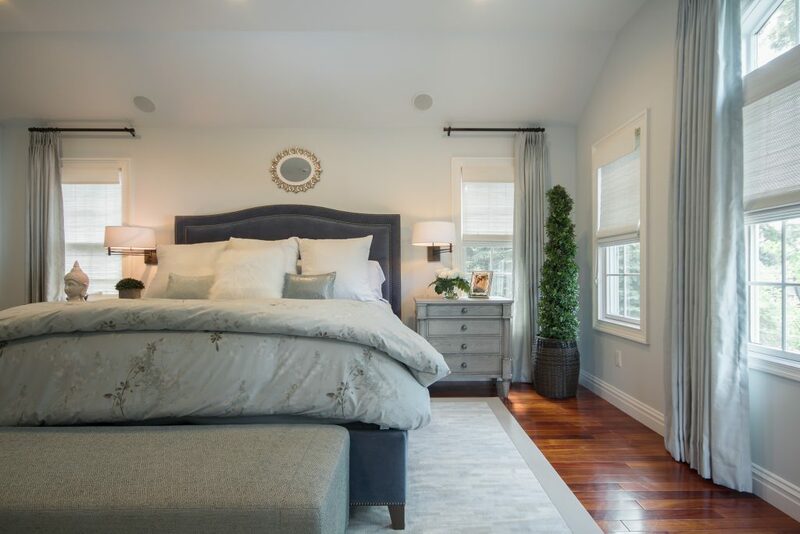 This beautifully, peaceful master bedroom was designed for a busy working couple who need to retreat, rest and refresh. The upholstered indigo velvet bed sets the foundation for a light blue/grey duvet cover coordinated with lustrous silver European shams and frothy white fur pillows. 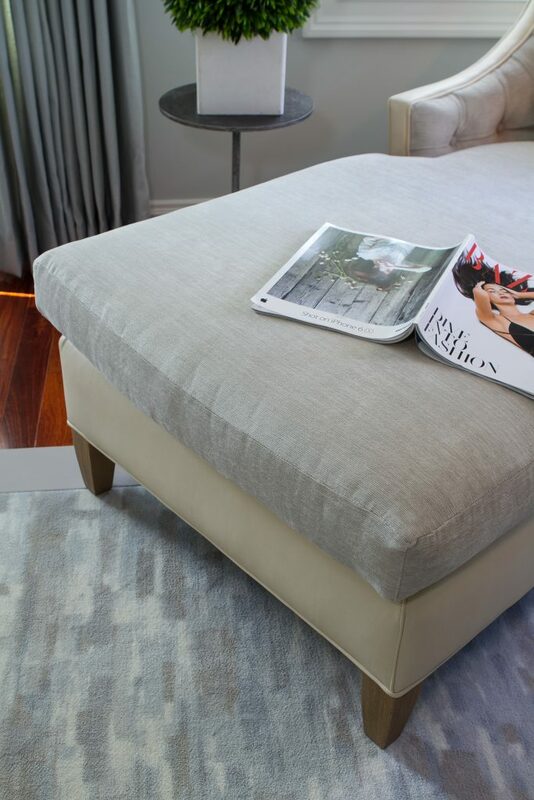 The muted custom wool rug is bordered in taupe and trimmed in vegan leather. This luxurious, relaxing chaise combines button tufted chenille with flax leather, making it a perfect spot for curling up with your favorite book or magazine. The small table and floor lamp with drum shade are forged iron, hand made in Vermont. The bedside chests and dresser are made of solid ash and are finished in a subdued shale stain. 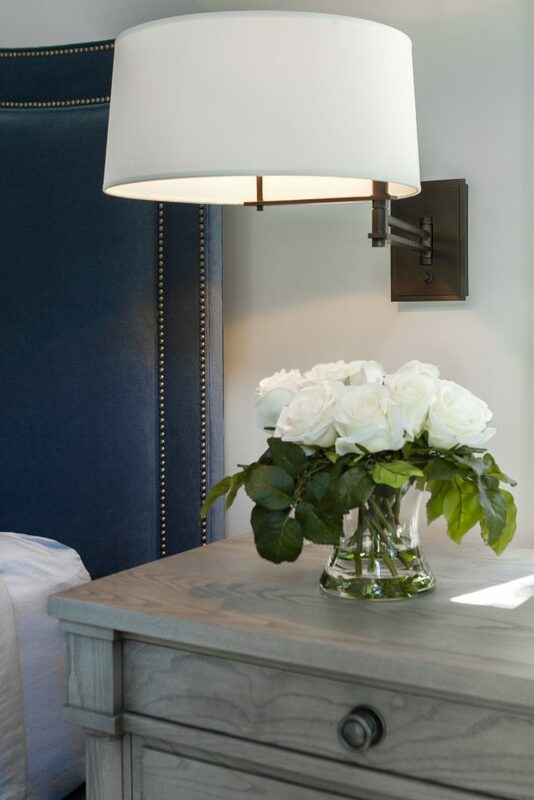 The bedside swing arm lamps with drum shades are also forged iron and hand made in Vermont. 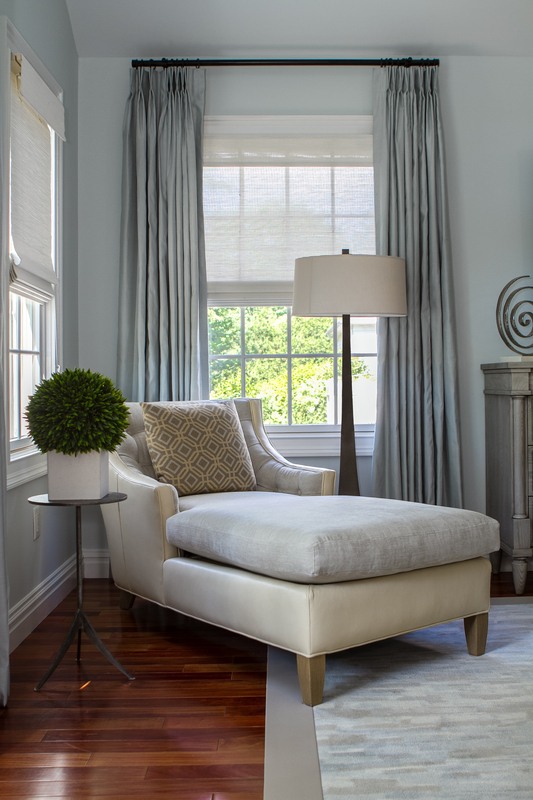 The window treatments are crisp, yet soft. The modern white woven window shades are framed in soft breezy blue silk panels hung from iron rings and rods with simple finials. 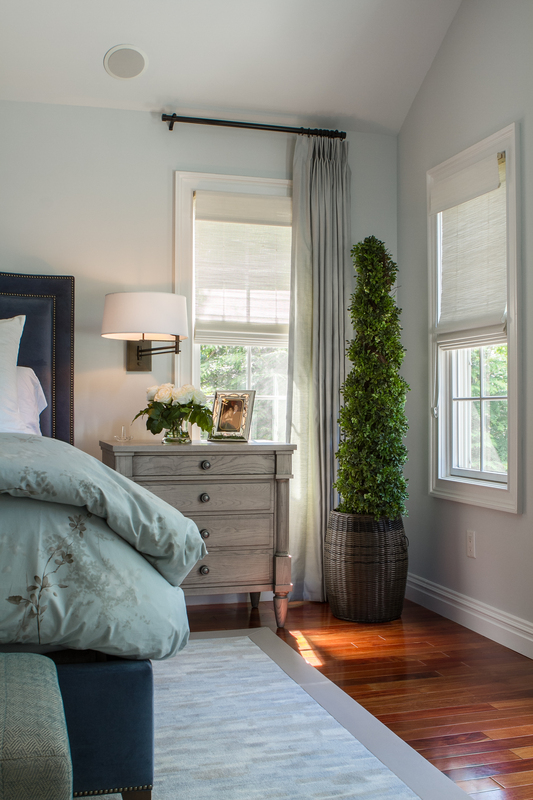 Awake, refreshed and surrounded in Benjamin Moore’s paint color Lookout Point. This bedroom provides the ultimate in tranquility and comfort. 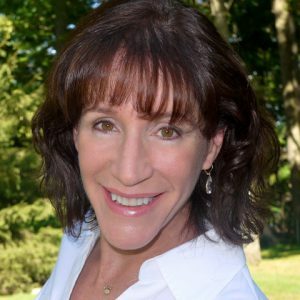 Contact me today and let me help you design your new retreat! « What should you do with that ‘spare’ room now?